Peachtree Publishing Company, 9781561457328, 138pp. Charlie Bumpers's worst fear is confirmed: he has Mrs. Burke for fourth grade. How will he survive a year with the strictest teacher in the whole school? 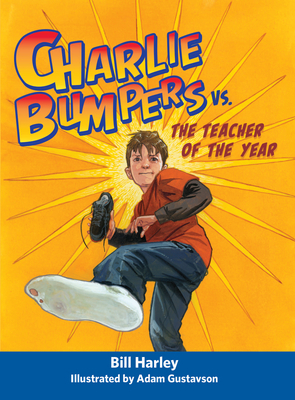 Shortly before school starts, Charlie Bumpers learns that he will be in Mrs. Burke's class. It doesn't matter that she's been named Teacher of the Year. He's still afraid of her. Last year when he was horsing around in the hall, he accidentally hit her in the head with his sneaker (don't ask). The exasperated teacher declared that if anything like that ever happened again, Charlie would be banned from recess forever. How will he survive a year under a teacher who is just waiting for him to make another stupid mistake? This fun series for young readers from Grammy award-winning author, Bill Harley uses humor to illuminate important values such as tolerance, helpfulness, kindness, and making the best of a bad situation.